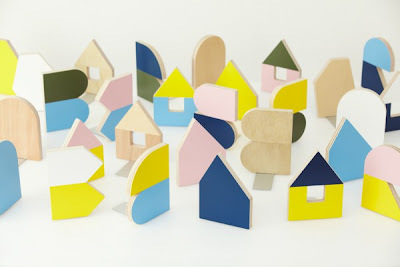 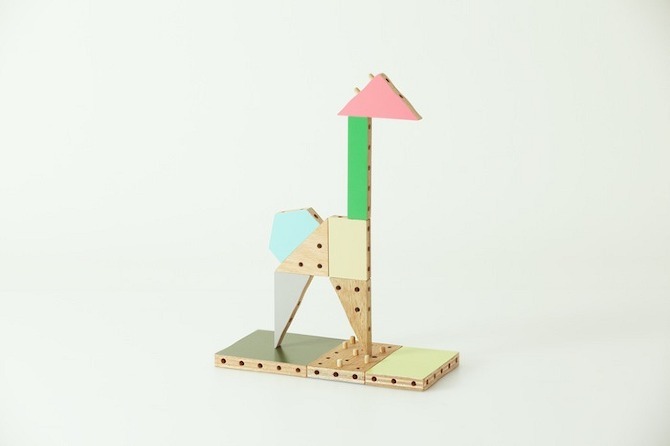 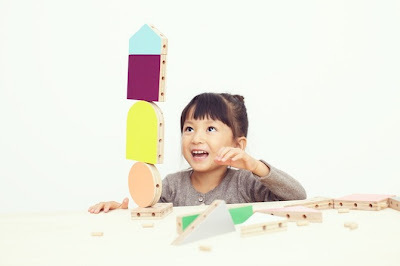 I think I was probably as excited as this little girl when I discovered these wonderful new dowel-block toys from Torafu Architects. 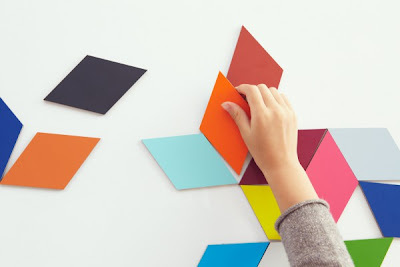 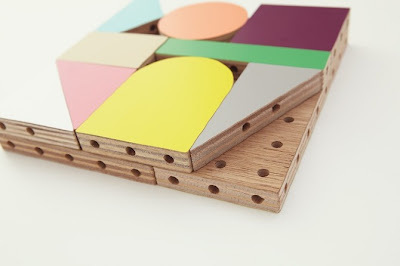 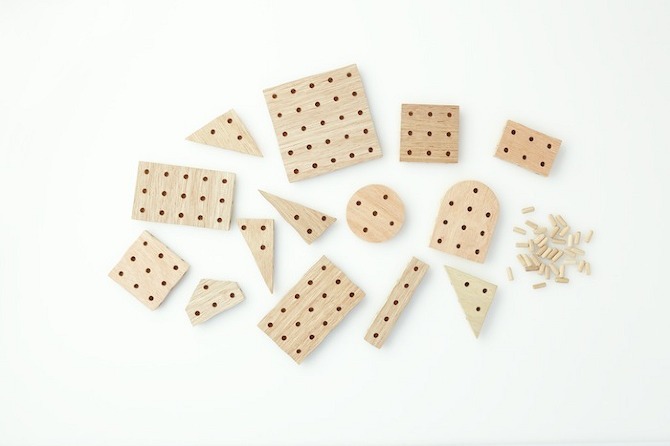 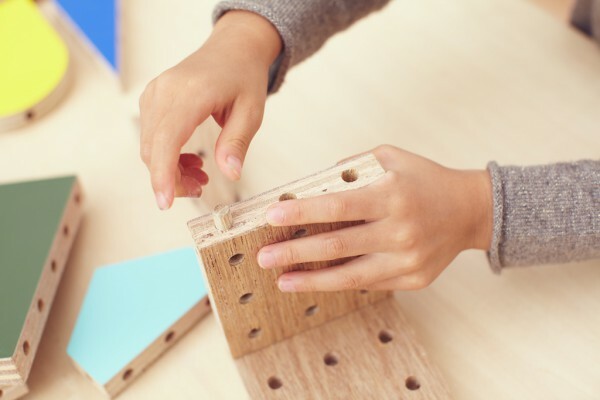 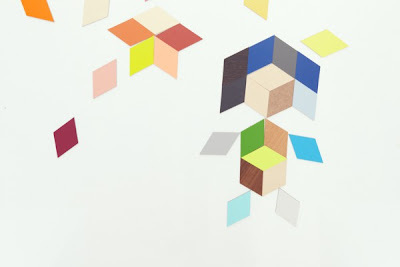 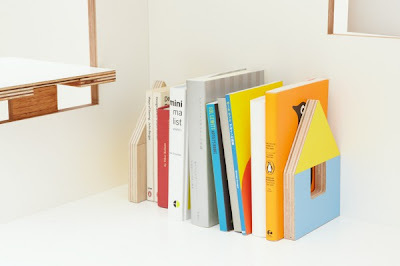 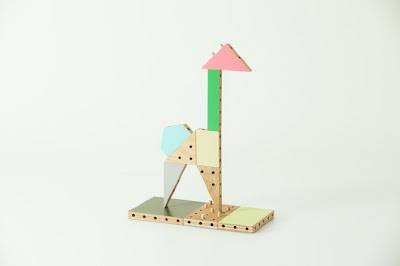 Made from polyester decorative plywood, the different shaped dowel blocks have holes on five sides allowing them to be connected three-dimensionally in an infinite number of ways. 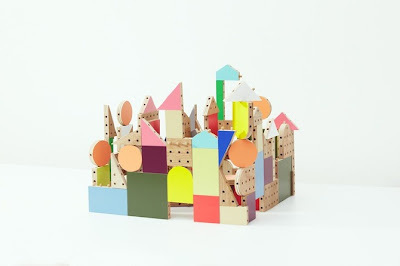 I am absolutely sure that my imaginative, building-mad seven year old son Miles would love playing with this set, priced at 8,800 JPY (approx 85 EUR). and nine Koloro book stands, made from cutoffs from their Koloro desks. J'avais pas vu que tu l'avais posté aussi...c'est extra ce truc!